2012 caused a bit of embarrassment to the Mayans, didn’t it? The world didn’t quite end, although a lot of people did party on the 20th of December like it would. 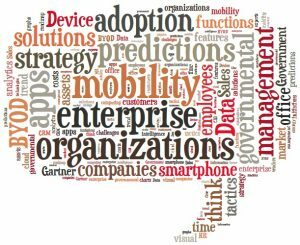 Given that the famed Mayans could be so grossly incorrect in their predictions, I’m putting my toe on the line and making predictions for enterprise mobility for 2013. (Disclaimer: Predictions may not be as apocalyptic, but are definitely world-changing if you think about it). We’ve seen that many organizations around the world have started transposing their focus toward enterprise mobility. BYOD (Bring Your Own Device) would not increase because organizations adopt it, but because employees would force it. Everyone wants to bring their own smartphone to office. And organizations would hate to be the pigeon who looks away to pretend the cat is not upon them. Mobile apps are being created nowadays to cater to a lot of business functions including HR, Sales force CRM and field assets. 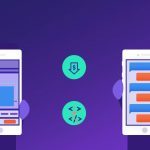 At a time like this, organizations now are at a juncture where they have to decide on the strategy of their mobile initiatives, and not just what app is needed. Defining an overall strategy and roadmap of mobility and then implementing this strategy is the next big thing for organizations in 2013. Till now, we’ve seen that only private and non-governmental organizations are taking to mobile adoption. Government departments are usually the last to adopt new technologies, but in mobility, they’ll make an exception. This year, watch out for the large number of governmental agencies and departments adopting mobility. The first part of challenges that we have seen over the years as an enterprise mobility solutions provider is creation of apps. 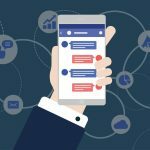 Organizations, in the rush to get apps out to the market, have tended to overlook the bigger picture about management of these apps that they’ve created. Mobile app management will be among the bigger concerns for CXO’s in 2013. That’s right. Big Data and Mobility are no longer two distinct identities. A report by Gartner showed that Big Data and Enterprise Mobility are two of the biggest focus areas for most CXO’s in 2012. And this trend will continue in 2013 as well. Mobility will incorporate features like business intelligence, visual analytics, graphs and charts and reports. It’s going to be all-encompassing data solutions in 2013 in mobility. Cloud computing and mobile in the cloud is already one of the biggest areas of interest for both, vendors and for customers. 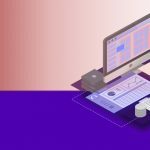 The flexibility, convenience and comparatively lower costs mean that majority of organizations prefer their mobile solutions are going to be hosted on the cloud. 2013 only points to more of the mobile and cloud. That’s my stab at the predictions for enterprise mobility in 2013. And while the Mayans did go wrong, I would be pretty sure that a lot of other enterprise mobility experts would bet on these predictions coming true.